Each year, the Neural Correlate Society holds a contest among experts on perception and visual illusions. The top ten entries get selected by a panel, and the three best are then picked in an international gathering that I imagine as some sort of wizards convention. Here are are the winners. One colored image can lead to several color perceptions, depending on the position of black outlines that are presented on top of the colored image. The shape of a surface depends more on changes of luminance in the visual scene than on specific colors themselves. By presenting black outlines on top of colored images, the whole area between outlines is seen as having one single color. Instead of seeing the actual colors presented at each location, our brain prefers to see one homogenous color, as surfaces in real life are usually also perceived with one single color. The Neural Correlate Society is "an organization that promotes scientific research into the neural correlates of sensory perception, awareness, and cognitive experience." According to their site, "the contest is a celebration of the ingenuity and creativity of the world's premier visual illusion research community. 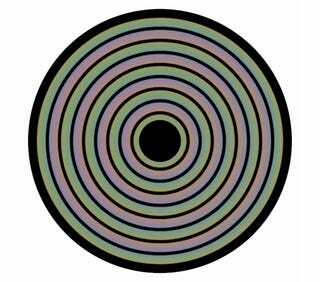 Visual illusions are those perceptual experiences that do not match the physical reality. Our perception of the outside world is generated indirectly by brain mechanisms, and so all visual perception is illusory to some extent. The study of visual illusions is therefore of critical importance to the understanding of the basic mechanisms of sensory perception, as well as to cure many diseases of the visual system. The visual illusion community includes visual scientists, ophthalmologists, neurologists, and visual artists that use a variety of methods to help discover the neural underpinnings of visual illusory perception." In other words: They are just trying to screw our minds—and succeeded.